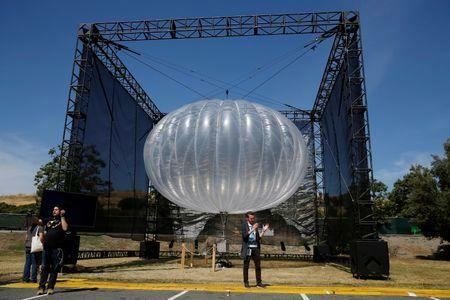 (Reuters) - Experimental communications balloons provided by Alphabet Inc in collaboration with AT&T Inc will allow some of the carrier's customers in storm-ravaged Puerto Rico to send texts and access critical information on the internet, Alphabet said on Friday. Alphabet said the "Project Loon" balloon project would deliver limited internet connectivity to LTE enabled phones in the hardest-hit areas of Puerto Rico. The island's wireless and broadband communications networks were devastated after Hurricane Maria made landfall last month. This month, the U.S. Federal Communications Commission approved Alphabet's application to provide emergency cellular service to Puerto Rico using up to 30 balloons. 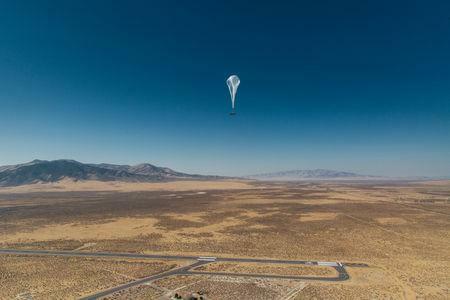 The company said Friday it does not expect to use that many since each balloon can provide internet service to an area of roughly 5,000 square kilometers, or 1,930 square miles. Puerto Rico's area is 3,515 square miles. The company has a handful of balloons in the area and more are on the way, spokeswoman Libby Leahy said. Since Hurricane Maria, Puerto Rico has struggled to regain communications services. As of Friday, 68 percent of cell sites remained out of service, the FCC said. Alphabet, which announced its Project Loon in 2013 to use solar-powered, high-altitude balloons to provide internet service in remote regions, said in an FCC filing it was working to support carriers as they restored "limited communications capability" in Puerto Rico. FCC Chairman Ajit Pai said this month he was forming a Hurricane Recovery Task Force focused on communications problems in Puerto Rico and the U.S. Virgin Islands. Alphabet said this was "the first time we have used our new machine learning powered algorithms to keep balloons clustered over Puerto Rico, so we’re still learning how best to do this. As we get more familiar with the constantly shifting winds in this region, we hope to keep the balloons over areas where connectivity is needed for as long as possible." Alphabet said it will continue the project as long as it can usefully do so. "Project Loon is still an experimental technology and we’re not quite sure how well it will work." In 2016, Project Loon delivered service to tens of thousands of people in flood-damaged parts of Peru in partnership with the Peruvian government and Telefonica. 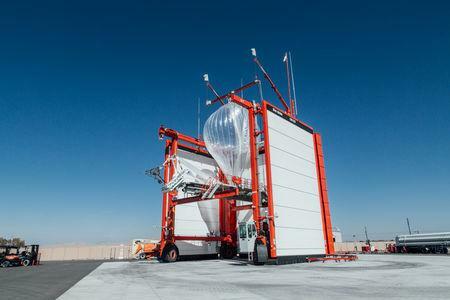 Alphabet, which launched the balloons in Nevada, said Project Loon is already providing service in Puerto Rico. It is part of an innovation lab within Alphabet that the company calls X, previously known as Google X.